Based in the Yarra Valley, photographing weddings everywhere. Let us work with you to capture all those special moments of love between you as a unique couple, your family and your friends. Not matter whether your wedding is big or small, we have packages to suit all couples. 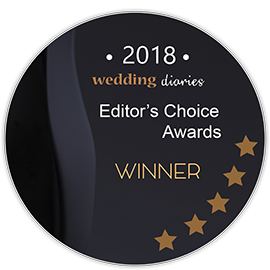 Enjoy your amazing wedding celebration, knowing that an experienced, accredited professional photographer with more than 300 weddings’ experience and outstanding reviews is behind the camera. No mock cake-cutting, no fake first dances, no holding back on what we deliver – we cover everything from bride and groom preparations, through the ceremony and portrait shots, right through to the end of the reception. I never really thought I’d be a wedding photographer, but after the very first wedding I shot back in 2010, I knew that I absolutely loved it and it was where I was going to focus from then on. I’m not an “in your face” kind of guy – lots of our clients tell me later that “we didn’t even notice you being there” – which is exactly how I think it’s supposed to be! Over the last 8 years I’ve photographed more than 300 weddings, have become an AIPP Accredited Professional Photographer, and for the last two years have been voted in the Top 10 photographers in Victoria in the Australian Bridal Industry Awards, as well as being #1 in the Brides Choice Awards (Yarra Valley and Dandenongs) two years running. Send us a quick email or enquire today – 2019 is steadily booking up! I’d love to have a chat and find out more about your big day, so get in touch and we’ll go from there.